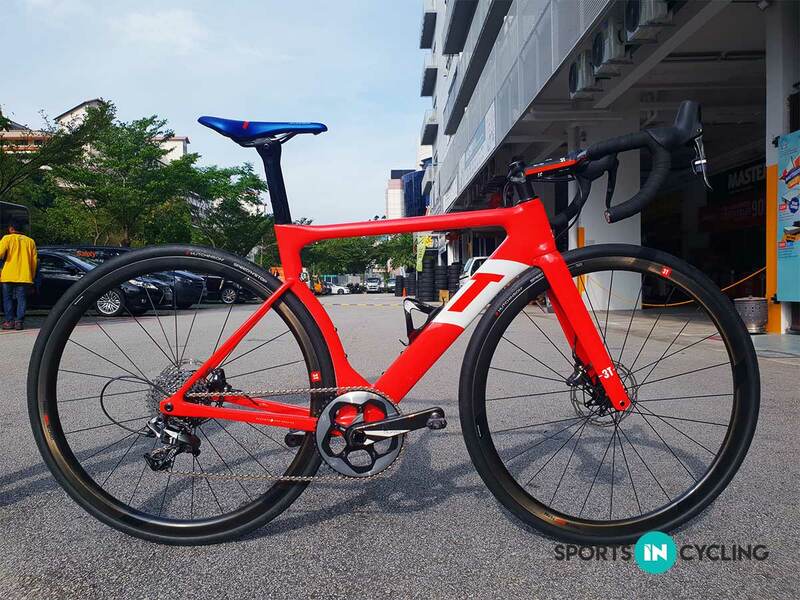 This is probably nothing new to the makers behind the bike, Gerard Vroomen and team, who in the past have always been early adopters of new technology and revolutionised bike designs with their Cervelo aero series. I had the opportunity to have a chat with Rene Wiertz, the President and CEO of 3T, while he paid a visit to Singapore over the weekend. According to Rene, coming from a company that is known for making bike parts, they have only started building their first bike three years ago. 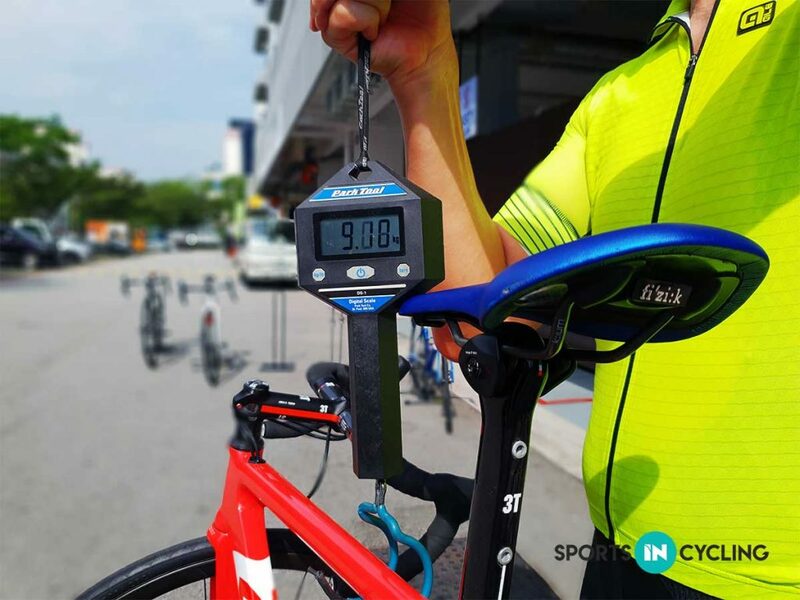 Being the first company to build a road bike with a 1x system, he strongly believes that in 5 years’ time, most cyclists will be riding a 1x bike. A 1X Drivetrain System on a road bike? Leading the charge of polarising views is the 1x system. This isn’t a novel concept. Mountain bikers have been adopting them for years, and track cyclists have always only used it. 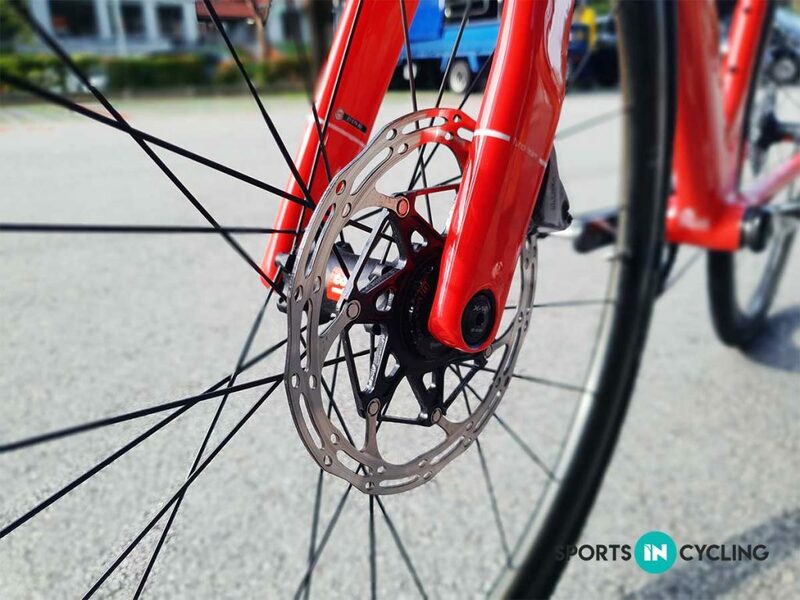 Given that these two disciplines are usually around a course, selecting the correct gear and correspondingly gear ratios are a viable and realistic option. However, with the wide variety of terrain in road cycling, can a 1x system still thrive under such circumstances? Coming off from my usual set-up of 23 – 25mm tyres, Shimano Ultegra groupset, and rim brakes, my first ride on the 3T Strada felt a bit weird, the right kind of weird. Everything about the ride felt a bit more supple and smooth, as though someone installed a dampener in the bike. I did not feel much chatter going through the bike and into my body even though the road surfaces were pretty rough at some points. Cruising around with it felt very nice and relaxed as if I was on a large cruise ship. Going fast proved to be a relatively easy task as well, given the bike’s focus on aerodynamics. Even though I did not have access to a wind tunnel to crunch out the numbers, it was noticeable how easy it could get up to speeds of more than 40km/h compared to the older bikes that I have ridden in the past. The 3T Strada, however, does not feel like a pure thoroughbred racehorse. The snappy feeling when you stomp hard on the pedals isn’t there, and neither is the razor-sharp feeling when cornering. Instead, the bike evokes a sense of calmness and familiarity when you are pushing it hard. That being said, it does not feel like a sloppy piece of pancake either, and still feels stiff and unyielding enough to the torsional forces going through it. Power still gets put onto the road without the feeling of it flexing under your body. Perhaps its weight might have robbed the bike of that race-snappy feeling, as my complete bike came in at around 9.1kg. While the bike does not exude a razor-sharp feeling when pushing it through tight corners and descents, it provides the rider with a very calm and responsive feel. I never felt that the bike was too eager to turn in, or as ‘twitchy’ as how many top of the line race bikes are, and responded to my inputs albeit slightly sluggishly as I negotiated corners with aggression. 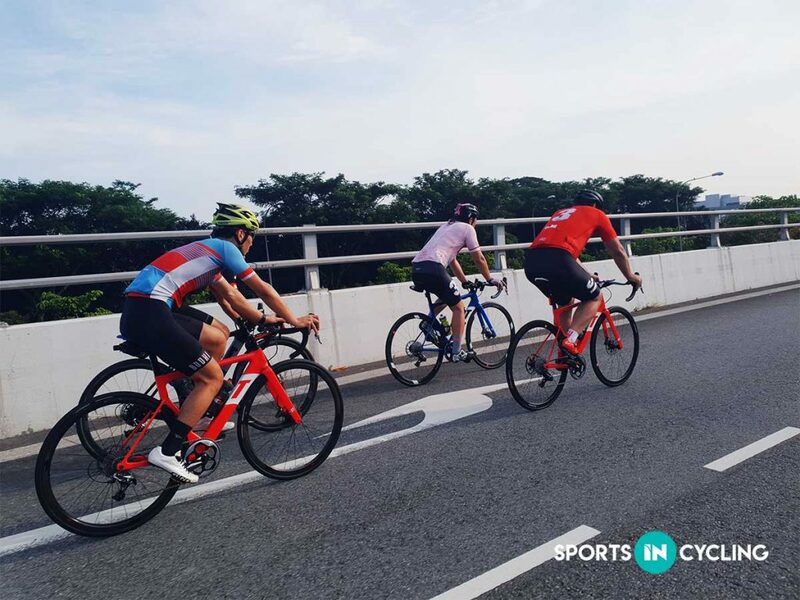 Descending Mount Faber quickly felt calm and in control, with the disc brakes providing excellent modulation and power all the way down. I could brake a bit later than I usually would on rim brakes. Of course, it wouldn’t be a true test if I didn’t try them out in the rain, and I’m pleased to say that the disc brakes provided better predictability and control even in the middle of a tropical thunderstorm! Shifting felt like a breeze too with SRAM’s 1x system. It only takes a short press to shift down, a deeper press to shift up, and all with the right hand. The 1x system presents itself as a very simplistic way to understand the concept of using gears, something that novice riders will appreciate. I also found that such a simplistic method of shifting works wonders when moving off from traffic lights, a scenario that is all too familiar with city riders. Struggling to clip in while having to quickly accelerate from a standstill when the lights turn green is something that is common in our local context. Many riders are often caught in the dilemma of either shifting to the biggest cog in the rear cassette with the big ring up front, or shifting down to the smaller chainring in the front and having to deal with the annoying front chainring upshift every few minutes (especially if you are riding through heavy traffic). However, with the 1x system, you can shift it into an easier gear just before you stop, and sequentially shift into the harder gears as you accelerate off from a standstill. I never ran into any major issues with the gearing either. 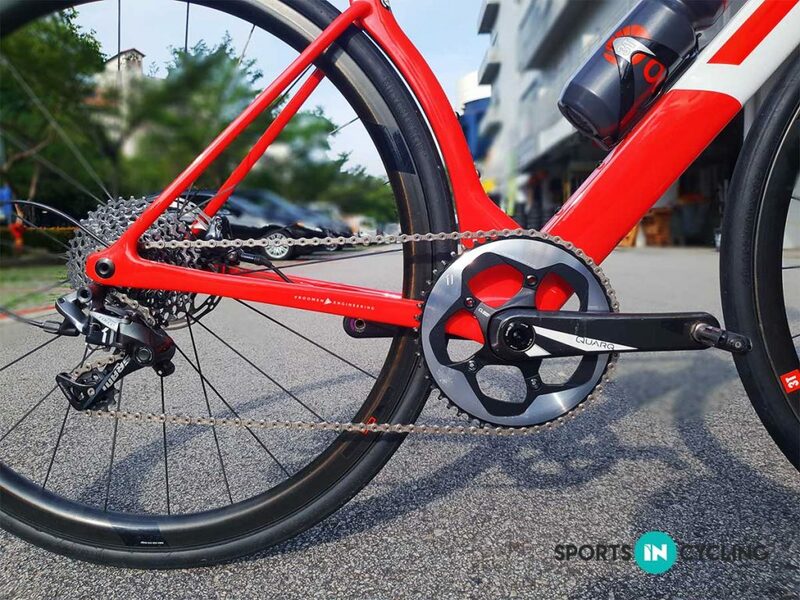 The combination of 50T at the front and 11 – 36T at the rear were sufficient over a wide variety of terrain and are in fact within the range of similar ratios when compared to a 2 x 36 – 52T chainring setup. One of my only two gripes of such a configuration is that I found myself in-between gears on certain occasions and was forced to choose between a higher cadence or a higher force (I missed my 16T!). I also felt close to running out of gears while sprinting at the end of fast group rides, something that will only be of concern if you race in speeds excess of 55km/h. Climbing never posed a problem with one or two extra gears to spare while riding up Singapore’s southern slopes between gradients of 5 – 15%. There is also the option of customising your gear choices based on the type and terrain of riding and so should not pose too much of a hindrance to the average consumer. The stock set-up, in my opinion, is more than capable of handling the variances in speed and terrain that the average rider will experience. 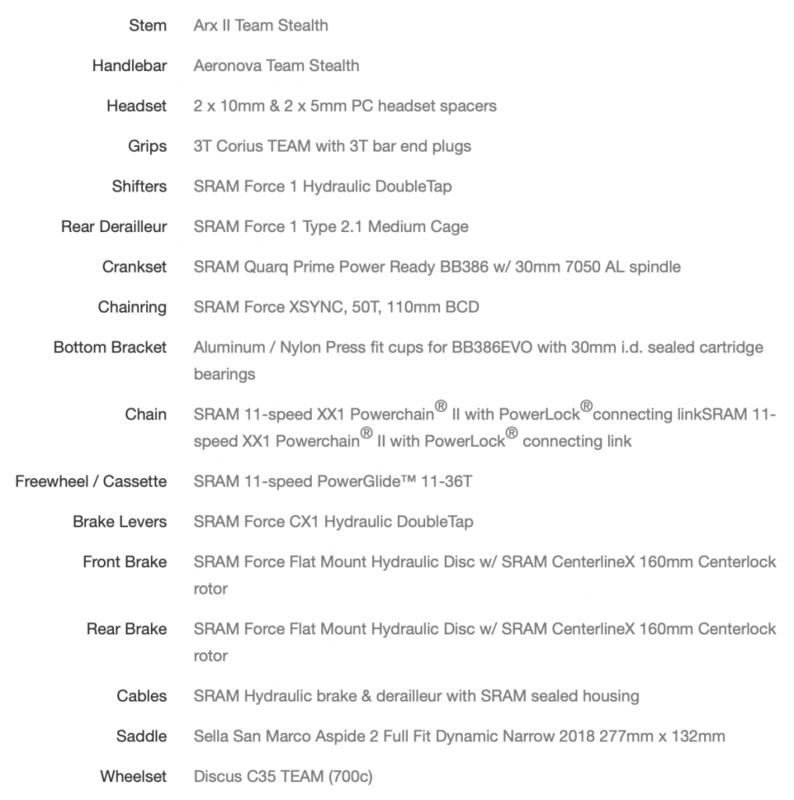 The 3T Strada is a bike that I will classify as an all-rounder. It is fast yet comfortable and stable, making it an enjoyable bike to ride around. 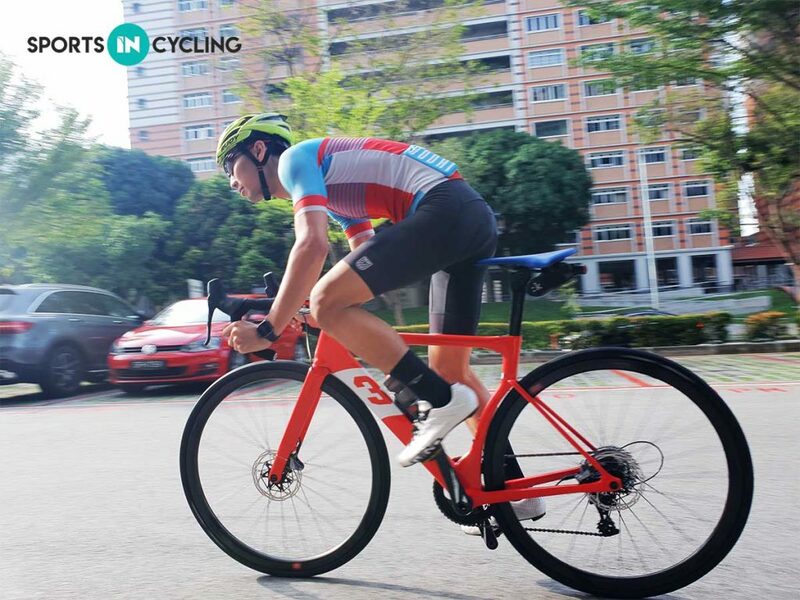 For the majority of cyclists riding leisurely or racing semi-competitively, this is a bike that is well suited for your next cycling holiday or Gran Fondo. However, if you are a competitive racer who frequently takes parts in high-level races, you might be better off looking elsewhere. With a price tag of $5199 for the frame/fork and another $4200 for the optional SRAM Force build kit, the decision is yours to make. 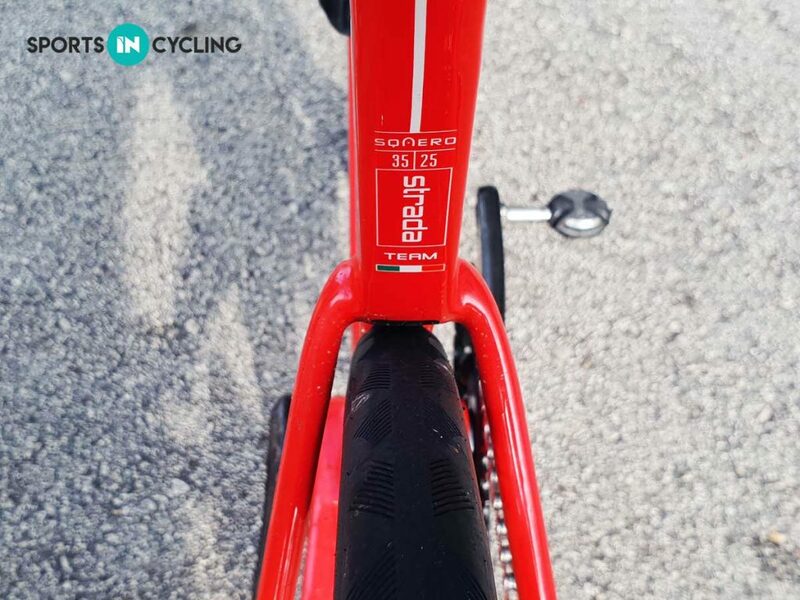 For more information on the 3T Strada, please click here. 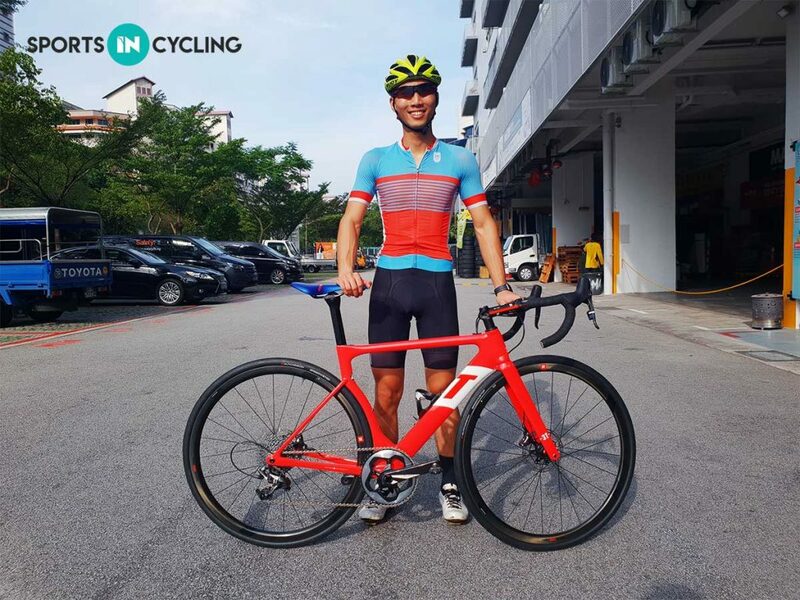 Founder and coach at CrankSmart, Lemuel is passionate about all things concerning cycling. He has been in constant pursuit of methods and ways to improve human performance ever since he start cycling competitively in 2005, and has spent his cycling career not just as a rider, but also dedicating time in the field of Sports Science, applying those lessons to his own training. 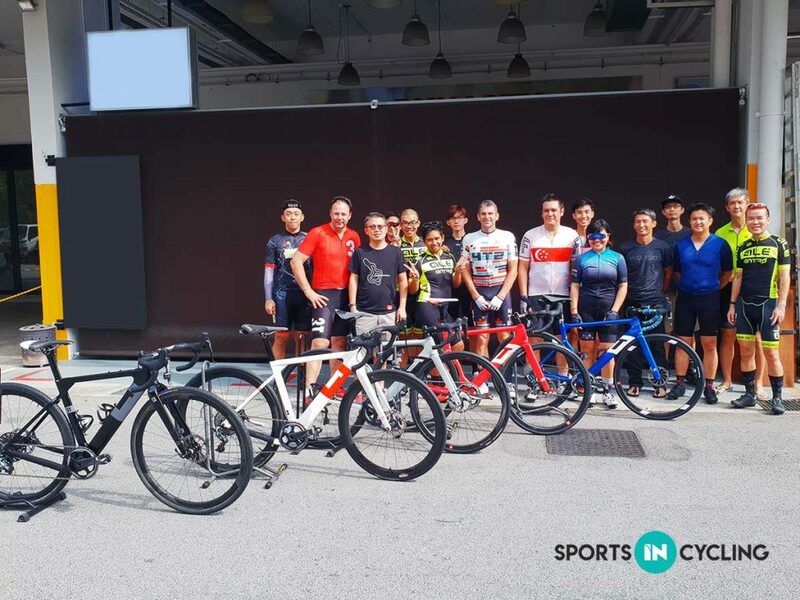 He graduated with a Diploma and Bachelors degree in Sports and Exercise Sciences (Republic Polytechnic, National Technological University of Singapore) and is now helping individuals unlock their potential through smart training.